The Australian Chiropractic Association is the peak body representing chiropractors. First and foremost, the underlying principle of chiropractic is “healthy spine, healthier life”. By offering expert drug-free spinal health care as well as lifestyle advice, chiropractors help Australians lead and therefore maintain healthy lives. 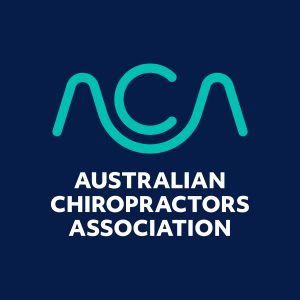 Consequently, with over 2,600 members, the ACA is the largest chiropractic health association in Australia. Dr Nick Gondzioulis is a longstanding member of the Australian Chiropractic Association. Straighten Up Australia is an ongoing community service initiative of the ACA, and is an easy and enjoyable everyday program to improve your health and as a result, the way your body functions. 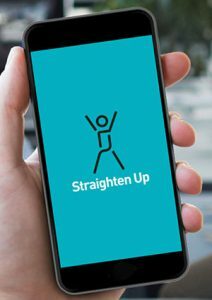 Consisting of a set of simple exercises and taking just three minutes to complete, Straighten Up Australia will help improve posture, stabilise core muscle groups, enhance health and as well as help prevent spinal disability. Foot Levelers is the global leader in postural support products. As a result, we are able to offer individually designed orthotics which provide whole-body support by effectively balance your feet – the body’s foundation. On this site, you can find descriptions as well as articles of interest about many of the natural therapies available in Australia. These include general therapy descriptions, the illnesses that they help as well as what to expect in a treatment session. Reading about these therapies will guide you toward contacting the appropriate practitioner who can assist with your health issues. Metagenics is a division of Health World Limited which produces ‘practitioner only’ nutritional supplements. Health World is the Australian and New Zealand leader in research and development of clinical nutritional supplements for healthcare professionals. The effectiveness of Natural Medicine is directly proportional to the quality and also the strength of its raw materials. Therefore, Metagenics only uses ingredients that have passed strict quality control testing. For this reason, these tests include microbiological analysis, assay tests. As a result, Metagenics supplements meet pharmaceutical grade quality and purity standards. An Impulse Adjusting Instrument is a newly developed treatment device. It allows chiropractors to treat different areas of the body without the need for manual adjustments. Therefore, no more twisting and cracking of the spine. This patented device was specifically created to deliver gentle and precise chiropractic adjustments to the joints of the spine and also the extremities. These adjustments can relieve pain and thus, restore function. ROCKTAPE is a performance enhancement and injury supporting tape. Using the tape can give athletes a little edge in their game. The application of ROCKTAPE also helps athletes manage fatigue by promoting better circulation. With the support of ROCKTAPE on the areas of your body that need a little help and you can go longer and harder. The Tai Chi Academy, which has no religious connections, has been conducting courses at many convenient locations in Canberra since 1982. The Academy aims to offer its students the very best Tai Chi training at an affordable price. Its professional instructors have successfully trained thousands of people of all ages and occupations in the enjoyment of as well as the many health benefits of Tai Chi. The Academy also conducts stress management workshops and courses for government departments and private companies. Specialists in fitting you to your ideal bed through our Bed Fitting Program which will ensure you receive a good night’s sleep. Beds N Dreams is an Australian owned bedding store. You will find this family run business in Fyshwick across from Harvey Norman. The bedding team handpicks the best mattresses as well as bedroom suites to give the customers the perfect sleep. Whitecoat is Australia’s most comprehensive online health care provider directory and customer review website. Think TripAdvisor but for health care. Over four million Australians have already taken advantage of Whitecoat’s services since it was launched in 2013. Our network of health care professionals is growing rapidly every day, with over 210,000 listed Australia-wide, across 40 different provider types. So, whether you’re looking for a dentist in Dandenong or a Chiropractor in Canberra, we’ve got you covered. Follow our journey and see how we plan to change the Australian healthcare industry.